Spring seems to be the time when math teachers are seeking creative ideas on how to teach their students to count money. Children know what money is and that it is a basic need of survival, but it can sometimes be confusing for students to count money if they have not mastered the standard. Today, I want to share 5 simple tips teachers can do to help their math students master the measurement standard of counting money. 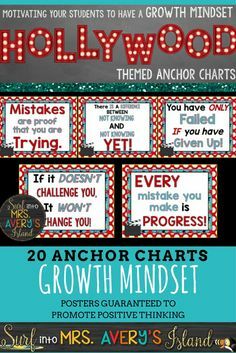 Side Note: Before I get started, I encourage you to create a money anchor chart with your students. Anchor charts are SUPER helpful when introducing a new skill. Your students should have an active role in creating the anchor chart with you too! Research has proven that students are more likely to retain a mastered skill when they are an active participant in the creation of an anchor chart rather than just hanging a bought poster on the wall that becomes a part of the background. Provide your students with a sheet of copy paper. As you are creating the money anchor chart, your kids can also create one. When the class is finished with their anchor chart, they can add it to their Math Interactive Notebook or use it as a test-prep study guide. Another suggestion is to invite your students to the carpet. The teacher will place a sheet of 8.5×11 copy paper under the document camera to display on the whiteboard. The teacher will think out loud as he or she is creating the anchor chart. The students are involved by participating in the think aloud conversation. Once the teacher has completed the anchor chart, copies can be made for each student to have. Anchor charts should have a variety of colors used to be visually attractive, vary the “fonts”, use different text features such as dots and dashes, underlines, bolder text, fun borders, bubbles around key concepts, etc. Skip Counting: It is important that your students can fluently skip count before they are ready to count money. American money is based on the number 100; therefore, I would provide daily opportunities for your kids to practice skip counting by 5s, 10s, and 25s to 100. Whether it’s during your Morning Meeting time at the carpet, a Math 4 Today worksheet, Drops in the Bucket, math centers, using a hundreds chart, place value straw bundles, cubes, etc., this is a vital math skill that must be mastered before they are ready to count money. Money Songs/Chants: There are so many cute money jingles I have come across in my 20+ years of teaching. I PROMISE…THESE SUCKERS STICK IN MY STUDENTS’ MEMORY TANK! I have always said if my two daughters could remember the information being taught for a test in high school or college like they do the lyrics of the latest chartbuster on iTunes, they would be in good shape for academic scholarships! On a serious note, I can’t take credit for the following chants, and I have no idea where they originated from! My favorite money chants that stuck with my students when I taught first grade are found below. We practiced these little chants EVERY DAY beginning on the first day of school! 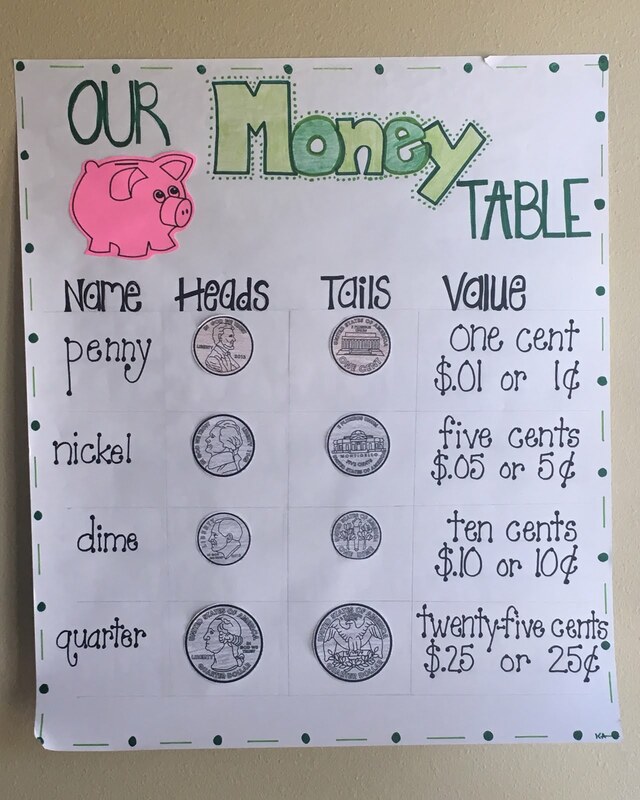 The purpose for reciting them from the beginning of the year was so that when we hit our money unit, my students were already familiar with each coin’s name and value. 3. Coin Sorting/Classifying: I recommend allowing your students to practice sorting coins based on their attributes. Give your students manipulative or even real coins and to make sure they can distinguish between the nickels, dimes, and quarters. The pennies are usually rather easy for kids to identify, but oftentimes, the “silver” coins can confuse some students. 4. Introduce One Coin at a Time: Begin by introducing your students to the penny. Allow them opportunities to analyze the penny carefully. Discuss the features of the heads side and the tails side, the size, as well as, the color. Practice counting on your whiteboard in a whole group lesson, in math centers with partners, during RTI, and then of course, independently on worksheets. If you have students needing more practice, there are countless websites on the Internet which provide additional support. After you feel like your students have mastered the penny, then introduce nickels, dimes, and quarters following these same recommendations. 5. Counting Mixed Coins: Once your students have mastered skip counting and can correctly identify the coins and their value, they are ready to count mixed coins. It is important to teach your students to count mixed coins in order from the greatest valued coin to the least. For example, if they have 4 pennies, 2 dimes, and 1 quarter… they must learn to count starting with the quarter, then the dimes, and then the pennies. At first, start simple with just two coins….pennies and nickels. Then add dimes, and later, add quarters. If you are interested in adding some engaging, hands-on resources to help your students master the measurement standard of counting money, click on the images below! Your students will LOVE the activities which promote 100% student engagement and offer a variety of whole group, small group, math center activities, and independent practice as well! You can take that to the bank! What are some proven strategies you have seen or like to use when teaching your students how to count money? Please feel free to share your thoughts and ideas by commenting on this post!